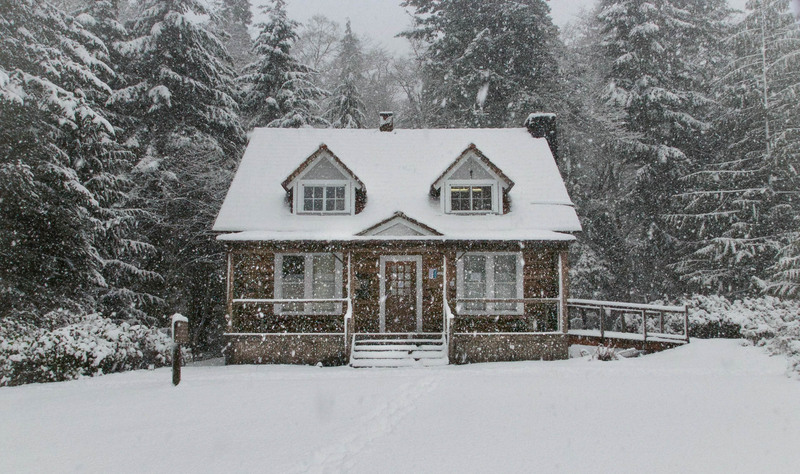 Ice dams occur when heat from the interior of your home melts the bottom layer of snow on your roof. As the snow melts, water runs down your roof and refreezes at the eve. As ice builds up at the eve, the pressure and weight of the ice push water underneath your shingles and into your house. This weight and the movement of the ice can oftentimes cause damage to your roof. This type of activity on your roof can cause major interior damage and be very costly to remedy. We offer a variety of solutions and treat each instance on a case-by-case basis. Options can involve increasing your ventilation, adding heat tape, adding insulation, or reworking your existing ventilation to be more effective. 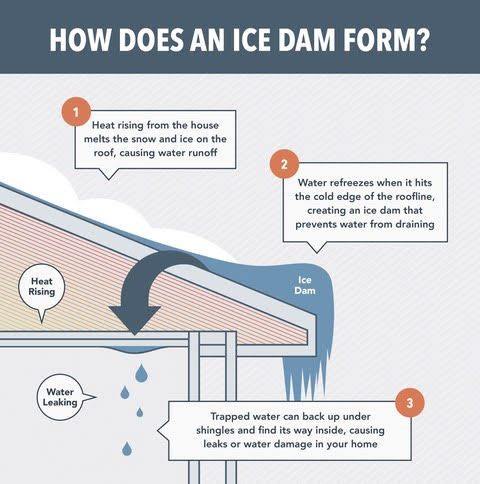 We believe its vitally important to treat ice dams correctly. Using hammers, salt, and other products can damage your roof and believe it or not, we’ve seen these approaches happen before! We’re one of the only contractors in West Michigan that uses a high pressure steam system to remove your ice dams. Its the fastest, most effective solution and causes the least damage to your roof. We’ve invested in solutions like this because we know it’s what works the best. Your homeowner’s insurance policy will help cover all or some of the cost of treating ice dams, and we’ll work with you to sort out those types of details.